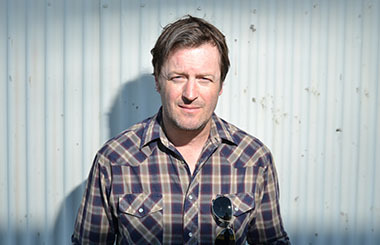 Willy Vlautin’s fifth novel, ‘Don’t Skip Out On Me’ is scheduled for release on Feb 1 2018 on Faber and Faber. Like his previous novel ‘Northline’ it will have an accompanying soundtrack included with the book on cd but this time it is Richmond Fontaine playing on all the instrumental tracks. While the cd will be coming free with the book. Décor will be releasing the album on vinyl as well as a vinyl release of the previous Willy Vlautin soundtrack to Northline. Both soundtrack albums will be strictly limited with Don’t Skip Out on Me to 1000 lps and Northline with 500 both on 180gram vinyl. Don’t Skip Out will be with a gatefold with photography from Willy Vlautin. Willy will tour the UK and Ireland in support of these soundtracks and book with pedal stell player David Murphy. The new novel follows Horace Hopper, a half-white and half-Paiute Indian farm hand in Nevada, who dreams of bigger things. Leaving behind the farm and its fragile stability, he heads South to re-invent himself as the Mexican boxer Hector Hidalgo… but at what cost, and what of those he’s left behind? Don’t Skip Out on Me was recorded early 2017 just after the band called it quits on their final European tour. It was laid down at Flora and Playback studios in Portland, Oregon with John Morgan Askew whom also produced their previous album. The songs feature Paul Brainard deft pedal steel and the mariachi horns of Paul with Cory Gray; both upbeat, sparse and recurring themes find place on the varied album following the trails of Hector’s career. Northline is a much more paired down subtle album that follows the book of the same name for beautiful soundscapes and again featuring Paul Brainard on pedal steel.